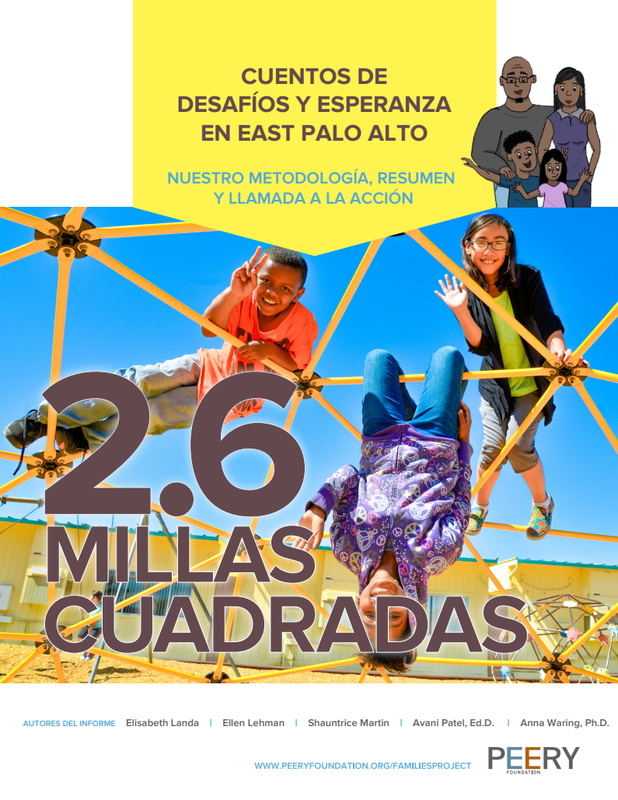 The Peery Foundation, along with community partners, worked to learn more about what life is like for families in East Palo Alto and Belle Haven. Given the complexities of the changing community, we wanted to allow families to amplify their voices to a broader audience to help steer action at a community level. Using exclusively their voices, we produced a short animated film to help tell their stories, along with an accompanying report of our findings in Spanish and English. In addition, listen to the audio from the panel discussion for more perspectives from residents of East Palo Alto and Belle Haven. Feel free to share your reactions or comments below.